To view a video tutorial on how to use image sources, please click here. After logging in to your Shopmatic platform, click on the Dashboard button and from the drop-down menu, click on Edit site. From the Page Builder, click anywhere on a Cover section, and a toolbar will appear. Click on the top icon, “Edit background”. You will then be presented with two buttons, one that links you to free images by Pexels, and the other from Unsplash. Click either to access royalty free images! 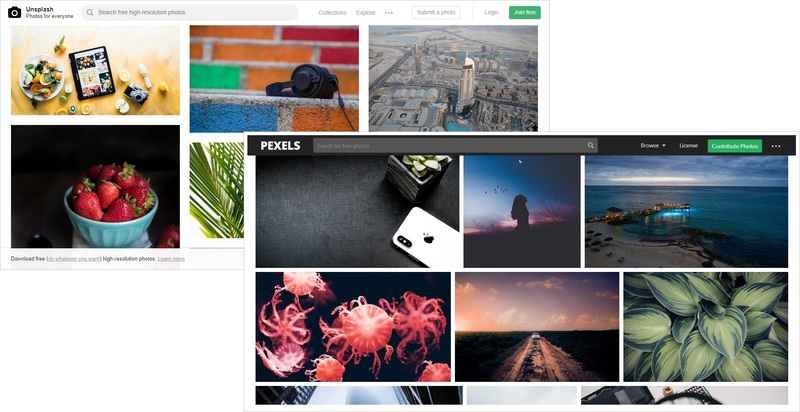 Unsplash and Pexels, are both very easy to use, simply search and browse through their image libraries for a suitable image for your website. Once you have found an image you like simply click on the image, and you would be given an option to download the images for free. Once you click on it, the images will start downloading onto your device. The image you have selected will enter an editable preview mode, simply move or crop the image as you please, and click on “Done” and that’s it!